If you are in business, part of a business, have an interest in business, engage in business expertise, are passionate about Maori businesses, developing a business, have skills and competencies businesses may require then joining Te Awe is a must. We don.t limit our membership to business owners and operators because Iwi, hapu and whanau play a vital role in Maori business success, therefore non-business owners are also welcome to join. What does a Te Awe membership offer? Regular high quality networking hui where information and contacts are shared together with great ideas. Exposure to a number of highly successful Maori and non-Maori business leaders presenting and discussing contemporary business issues. Help members keep up to date with current issues affecting Maori. Provides a positive environment where individuals may network and establish relationships with large enterprises that want to utilise the products and services offered by Maori service providers. Save you money by negotiating on your behalf member to member discounts. Encourage you to participate and be recognised for your business achievements in the biannual Te Awe business awards. 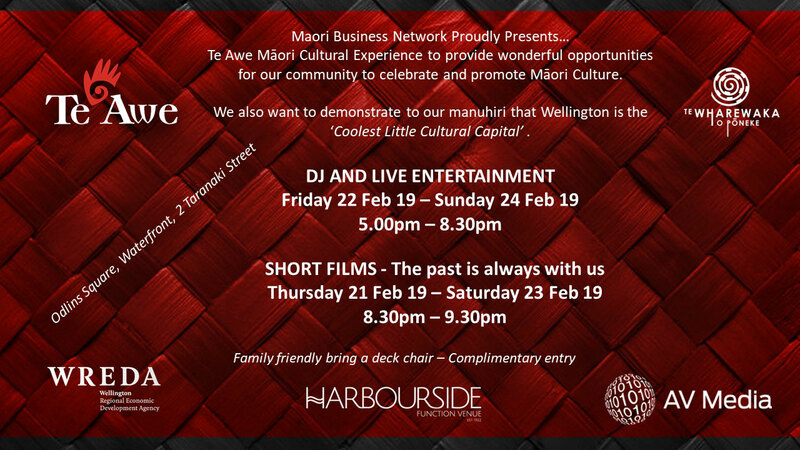 Experience and celebrate who we are as a people in business e.g whanaungatanga, manaakitanga, and our Maoritanga. A monthly newsletter of what's on our agenda.